Today marks the 68th birthday of my beloved country Pakistan. Pakistan has come a long way from the day it gained independence on 14th August 1947. It's been a roller coaster ride of highs and lows, but that is a part of an evolutionary route that majority of countries have to partake. The past year has been tough when we look at the certain issues such as the APS Peshawar school attack and the utterly disturbing Kasur scandal. We have also made some leaps forward as can be seen from the expected $40 billion influx of Foreign Direct Investment (FDI) from China, improved credit rating by Moodys and Standard & Poor showcasing economic improvement, more security after the Zarb-e-Azb Army operation against extremist militant groups and the improved stability in Karachi after the Rangers operation. One should pray and do their part to ensure that the next year and those more ahead would bring increased prosperity and peace to our nation. Today however, in the spirit of jubilation, we will focus on celebrating all the uniqueness and beautiful qualities that identify with the Pakistani nation, from the stunning landscapes, scrumptious food, generous people, colorful cultures, beautiful handicrafts and more. In order to do so, one must dress the part, making a positive and bold Pakistani fashion statement. The Pakistani Fashion Industry has evolved beautifully over the past few decades. It is also celebrating the birthday of the nation by putting out independence day inspired pieces. This blog post in particular was inspired to create a bold fashion statement with everything from Pakistani designers and shops, in order to celebrate Pakistan's Independence Day in a fun style. I have picked some of my favorite pieces and put them together to form a head to toe Independence Day statement attire. Living abroad, I haven't had the luxury to check shops in person so all the pieces featured were picked online. First of all, I would like to start with a nice kurta. I saw Beechtree and Sapphire Lawn both have some good choices for Independence Day kurtas. 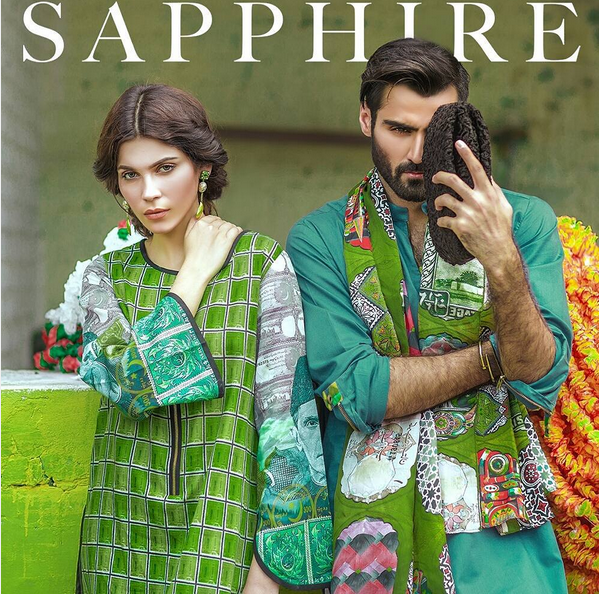 My pick given below is for this particular Sapphire Lawn Kurta the female model is wearing, which can be paired with simple white straight pants. Now to accessorize the look with some jewellery. 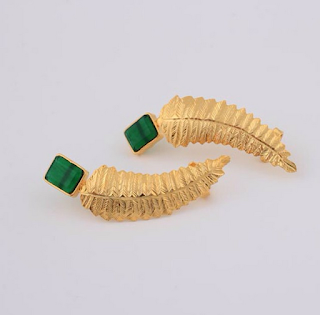 I love how these REMA luxury jewellery, also known as Remaluxe, earcuffs look. They would go perfectly with the Sapphire Kurta. Earcuffs are statement pieces, and should be adorned with usually little or no other jewellery. 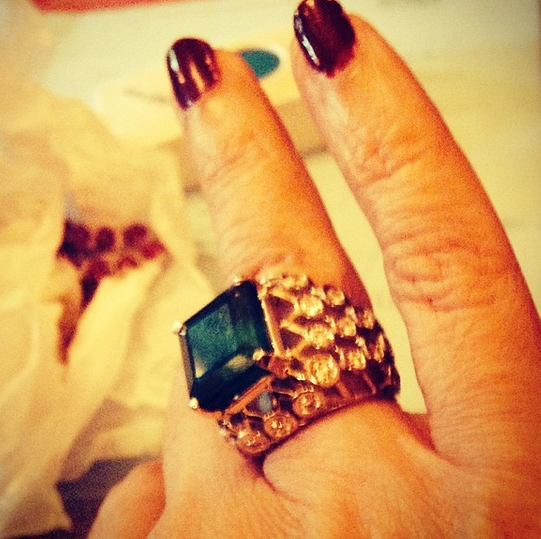 If however you are feeling particularly festive, you can add this beautiful emerald and diamond ring designed by high end Pakistani jewellery designer Reama Malik. The picture below was found on the instagram account and is worn by one of the clients of Reama Malik's jewellery. 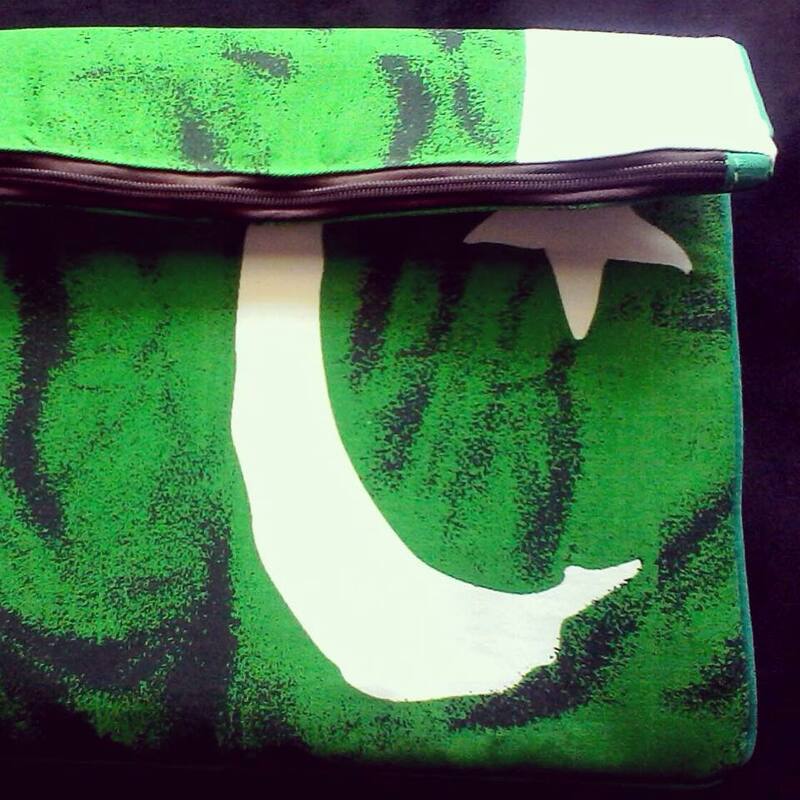 I like adding this Mahin Hussain funky and patriotic clutch shown below to make a bolder and funky statement. Lets finish the look with some Farah & Fatima shoes. This was my take on creating a fun and bold fashion statement on Pakistan's Independence Day. It was just a fun post I felt like doing to bring out the patriotic fashionista in all of us. 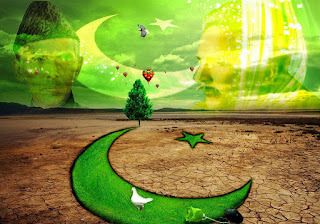 I wish all my fellow Pakistanis had a lovely and festive Independence Day today. Let's keep Pakistan in our prayers and do our part to make it a brighter and more prosperous country InshAllah. Pakistan Zindabad! Do anyone know about innstore accessories http://innstore.pk/ outlet in karachi. Find out latest Ladies dresses online at Smartbazar.pk. You need to estimate the new hues which will move toward becoming trend in the up and coming season, the new styles and trends that will end up mainstream. Amazing info! I recently came across your blog and also have been reading together. I presumed I would leave my first remark. Idon't know exactly what things to say besides I have.